As social media is growing in demand we have integrate them in our CRM. Search & Associate Linked-in and Facebook contacts in CRM. 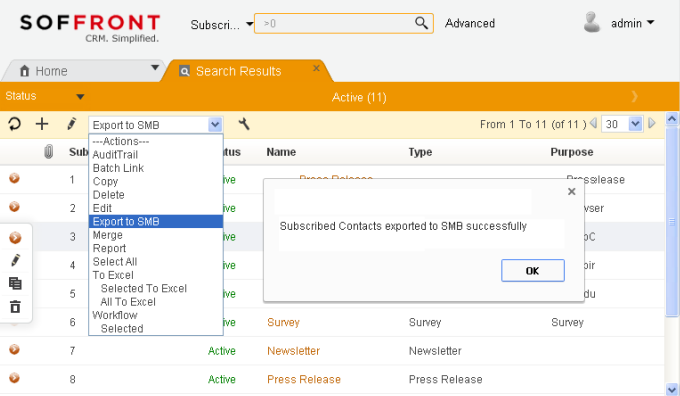 Soffront Enterprise CRM seamlessly connects to Soffront Small Business to manage your Email Marketing needs. Better Tracking, variety of graphical message templates, hassle free Email service with real time reporting.